Babelynn Mukila displayed resilience in the face of tough competition during the Mombasa Miss Tourism pageant. Her strength of character saw her win the contest, and she will in a week's time represent the county at the Miss Tourism Kenya national event to be held in Vihiga. But Ms Mukila is no ordinary model. She is deaf. As she stood tall among 44 other contestants for the coveted Miss Tourism Kenya crown, her bewitching smile made her stand out. Despite her hearing inability, she is not fazed and says her condition can neither kill her dream nor put her down. She is the only contestant with a hearing disability. The 22-year-old beauty queen's dream to model started long when she was in secondary school. "Even during my childhood days, I wanted to be a beauty queen and just be in the business of modelling," she said through a sign language interpreter. In 2014, Mukila competed for the prestigious crown in Mombasa and emerged first runner-up. This did not dampen her spirits of making it big in the modelling industry. 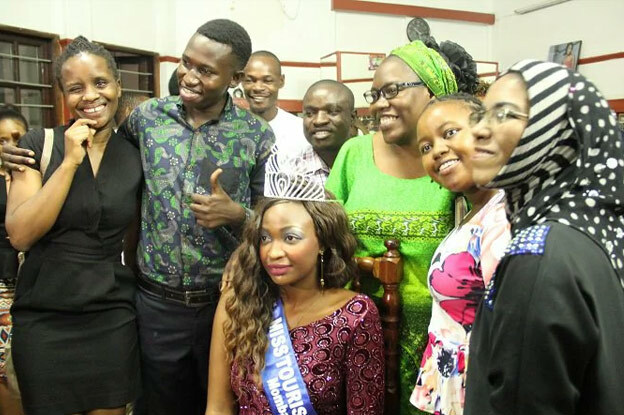 When I lost, I knew there is always another time to make it because failure does not define me nor does my inability to hear; I did not give up because my objective was to represent Mombasa, promote tourism and support others like me and eventually be Kenya's tourism ambassador," she said. The third-born in a family of six, Mukila said her parents and siblings have been supportive of whatever she does. "I have made it through Mombasa County and I cannot forget what my parents, mentors and friends have sacrificed to make it possible for me to be here," she said. Mukila holds a diploma in beauty therapy and modelling from New Image Hair and Beauty College in Mombasa. Her focus is training models and beauty therapists.